If you missed your chance to get a Little Known Help Zone tee during the campaign, it is not too late. The remaining two shirts have been posted on Etsy for sale, available in a size Small and Medium. This is a great way to show your support for Little Known Help Zone and get a soft, white cotton tee for summer. These shirts are available for $15, and all money goes to Little Known Help Zone causes. So check out today! 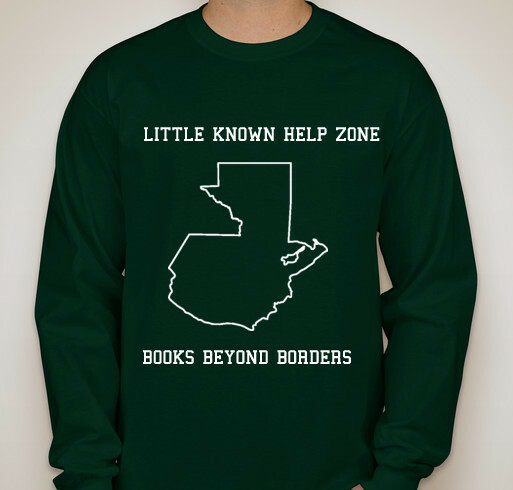 Little Known Help Zone just ended the Books Beyond Borders tee shirt campaign, and although not enough shirts were sold to go into print, $15 was made towards the fund to send a child to school in Guatemala! Stay tuned for more fundraisers, and hopefully another tee shirt fundraiser in the future!